Viewing 15 of 15 products. 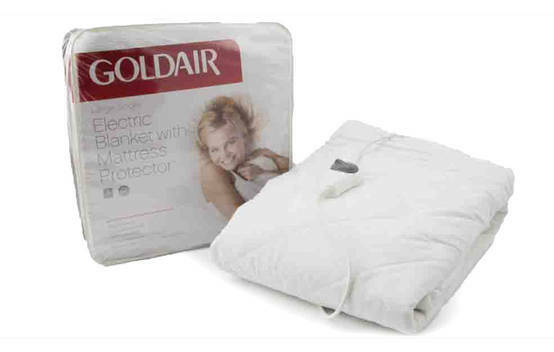 Snapshot: The Goldair GFS-LS Large Single fitted electric blanket has 3 heat settings. How quickly does it heat up? Get instant access to test results for 15 electric blankets. 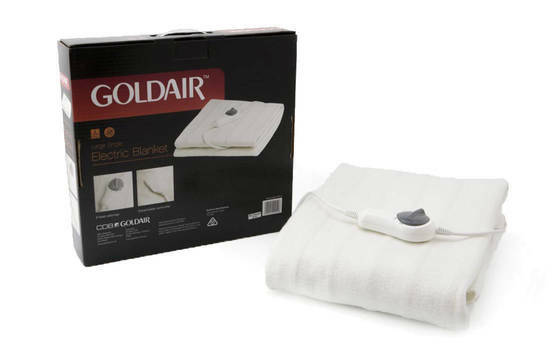 Snapshot: The Goldair GUB-LS Large single fitted electric blanket (with mattress protector) has 3 heat settings. How quickly does it heat up? 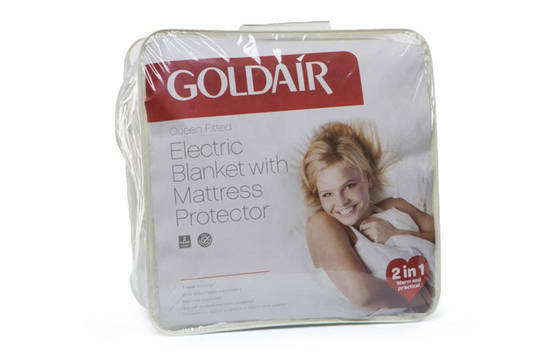 Snapshot: The Goldair GUB-Q with Mattress Protector Queen fitted electric blanket has 3 heat settings. How quickly does it heat up? 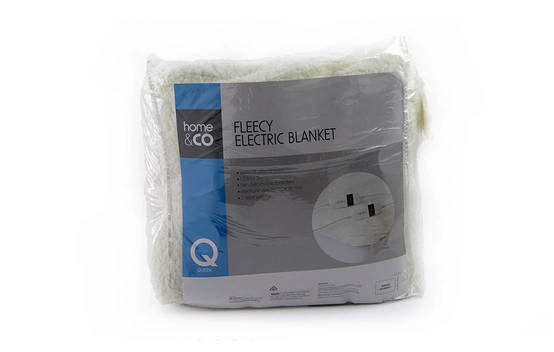 Snapshot: The Home & Co Fleecy fitted electric blanket has 3 heat settings but no warm-foot zone. How quickly does it heat up? Snapshot: The Jason Cosy Sherpa fitted electric blanket has 7 heat settings but no warm-foot zone. How quickly does it heat up? Snapshot: The Jason Fully Fitted electric blanket has 3 heat settings but no warm-foot zone. How quickly does it heat up? Snapshot: The Jason Luxury Australian Wool fitted electric blanket has 7 heat settings but no warm-foot zone. How quickly does it heat up? 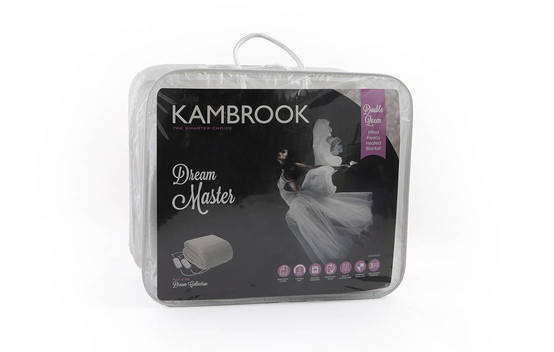 Snapshot: The Kambrook Dream Master Double Queen Fleecy Heated Blanket has 3 heat settings but no warm-foot zone. How quickly does it heat up? Snapshot: The Kambrook Dream Weaver KEB435WHT Queen fitted electric blanket has 3 heat settings but no warm-foot zone. How quickly does it heat up? 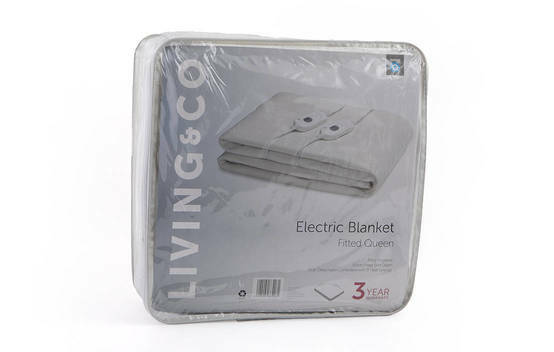 Snapshot: The Living and Co Queen fitted electric blanket has 3 heat settings but no warm-foot zone. How quickly does it heat up? Snapshot: The Sunbeam Sleep Perfect BL5131 King Single fitted electric blanket has 9 heat settings. How quickly does it heat up? 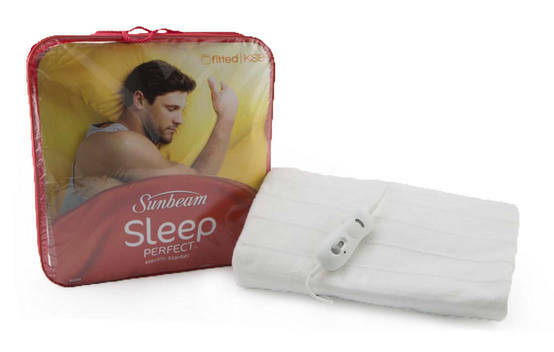 Snapshot: The Sunbeam Sleep Perfect Quilted fitted electric blanket has 6 heat settings and a warm-foot zone. How quickly does it heat up? Snapshot: The Sunbeam Sleep Perfect Wool Fleece BL5651 Queen fitted electric blanket has 6 heat settings. How quickly does it heat up? Snapshot: The Sunbeam Sleep Perfect Wool Fleece BL5621 Single fitted electric blanket has 6 heat settings. How quickly does it heat up? 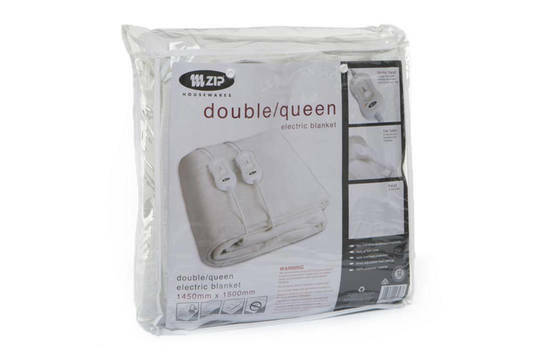 Snapshot: The Zip ZIP 903 Double/Queen tie-down electric blanket has 3 heat settings. How quickly does it heat up?